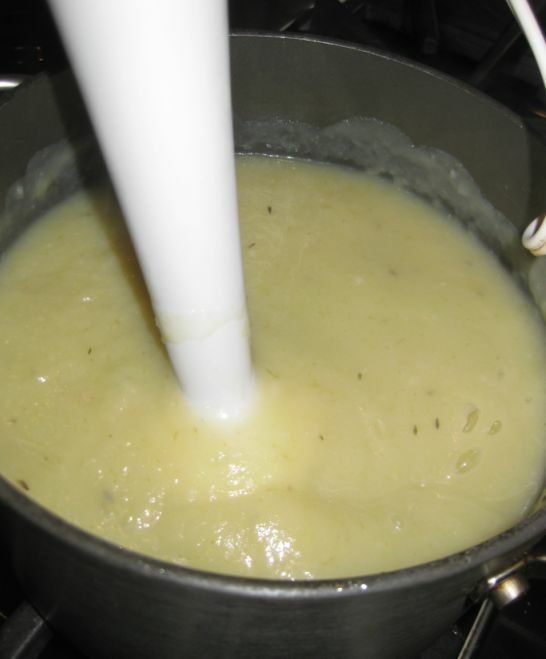 Vichyssoise is a thick soup made of pureed leeks, onions, potatoes, chicken stock and then cream is added at the end. 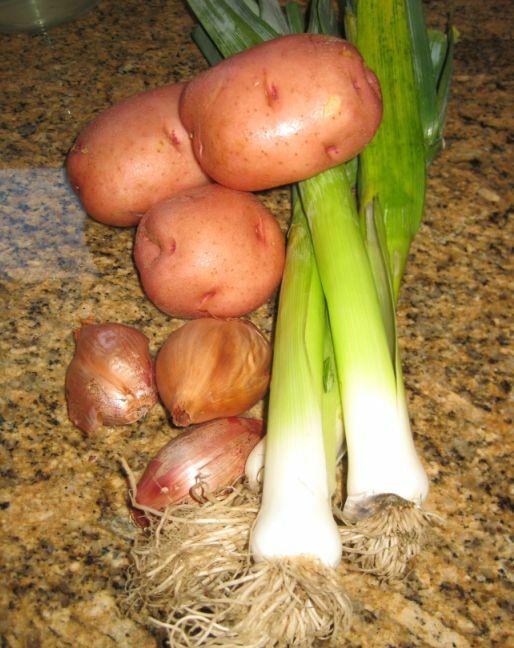 It is traditionally served cold, but can also be eaten hot. 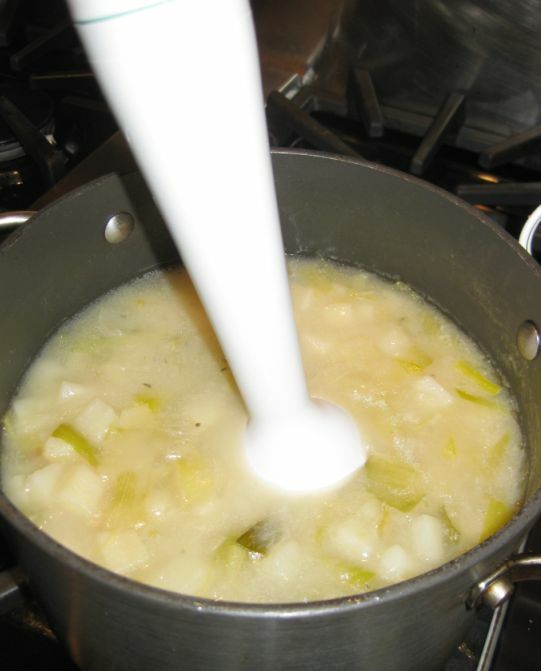 I originally wanted to serve cold but then when I tasted the cold Vichyssoise I thought that the soup tasted better hot. It is your choice serve it hot or cold. 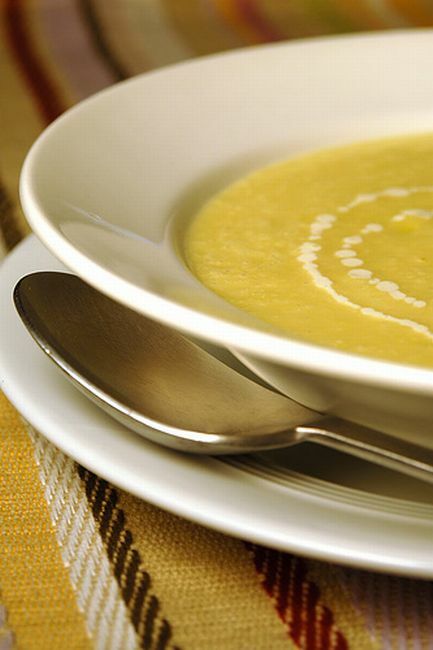 The ingredients for this soup is pretty simple but done right the flavors will delicately complement each other. 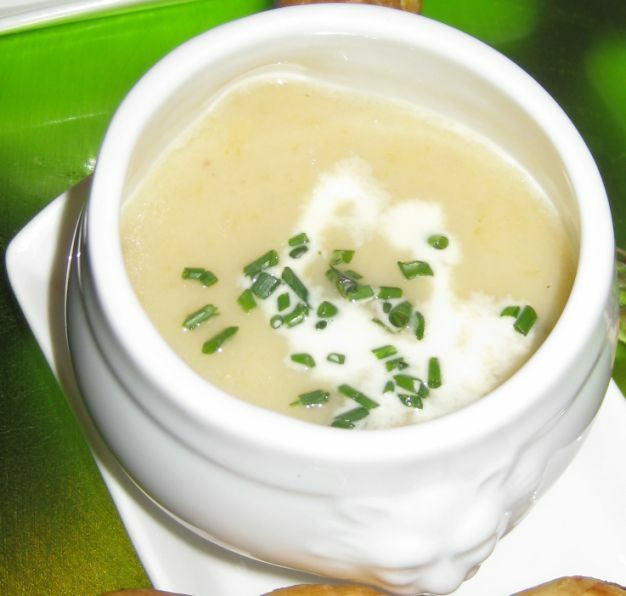 Try this recipe and you will truly enjoy a Vichyssoise. 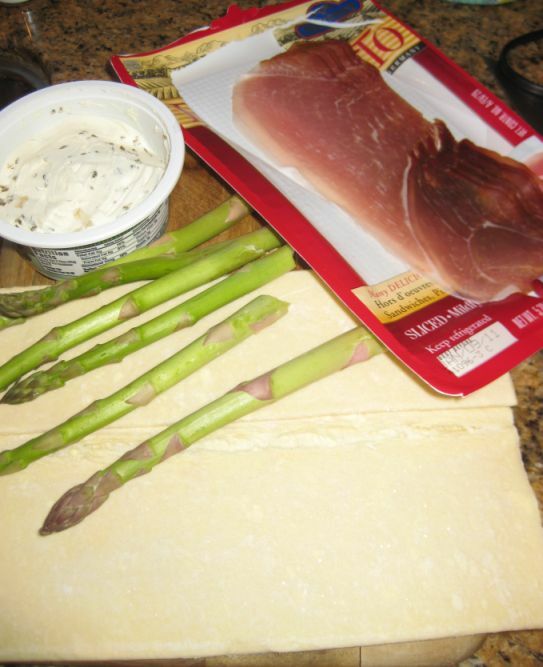 To make this soup more interesting I decided to serve it with baked asparagus rolled in strip of puff pastry, spread with cream cheese and a layer of Prosciutto. 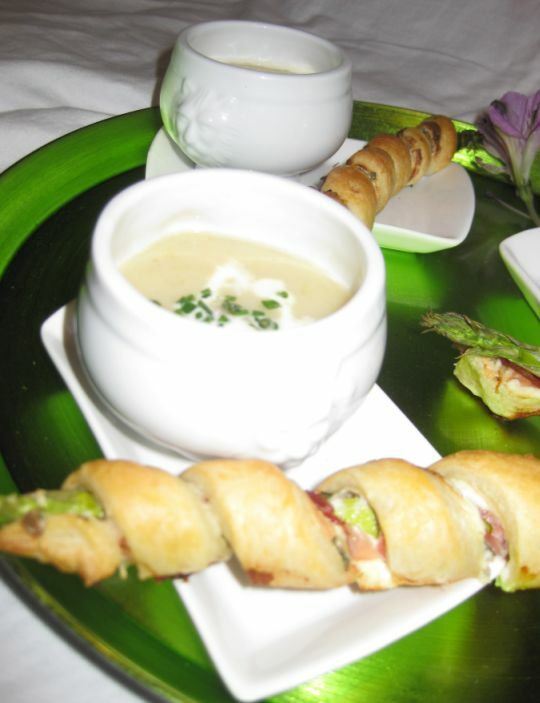 The result was simply amazing and simply adore the food presentation. 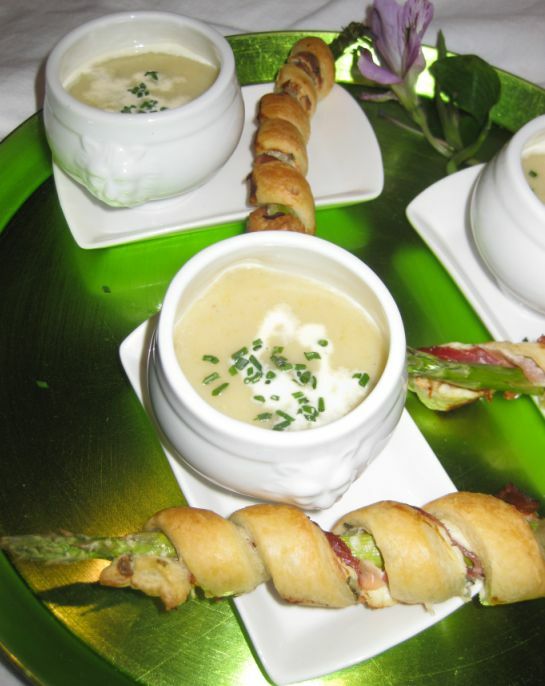 I served the Vichyssoise and the asparagus spirals as an appetizers and it was a hit! We all loved it. 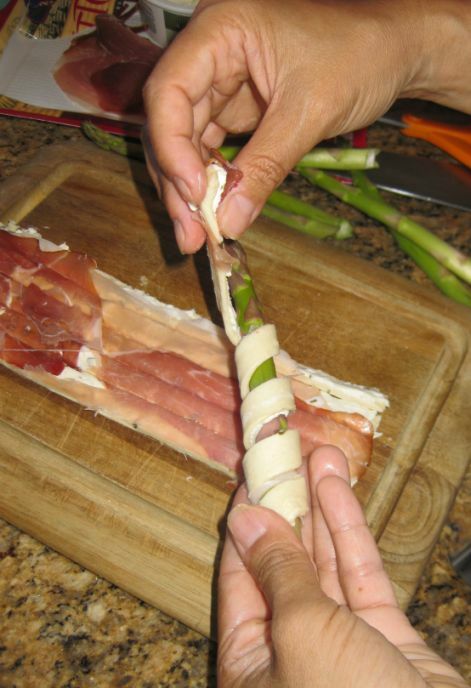 The asparagus spirals were crunchy, and the saltiness of the Prosciutto was just perfect. 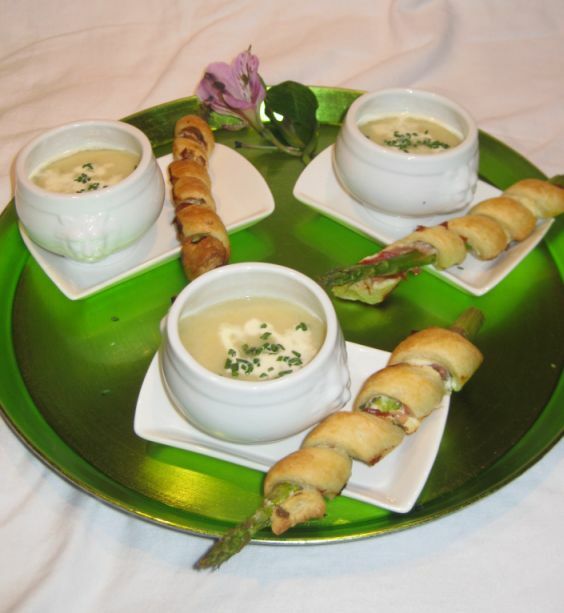 Dipping the asparagus spirals into the soup was excellent and added an interesting texture to each bite. 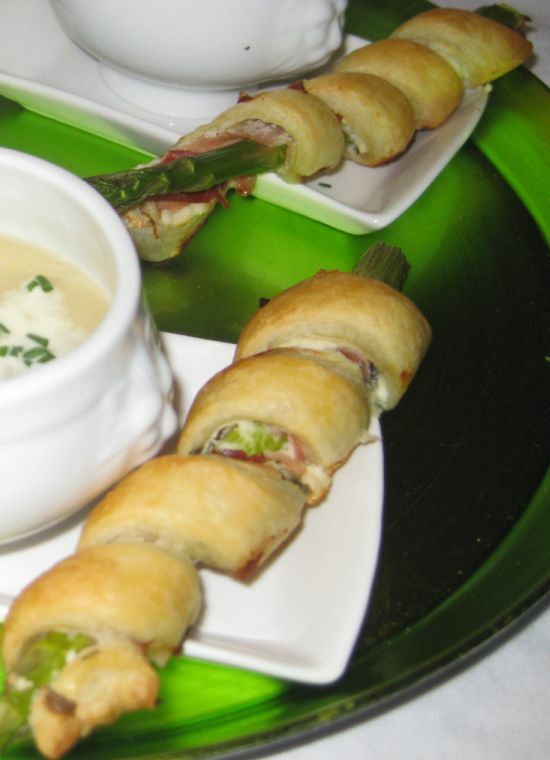 Close look at the soup and asparagus spirals. 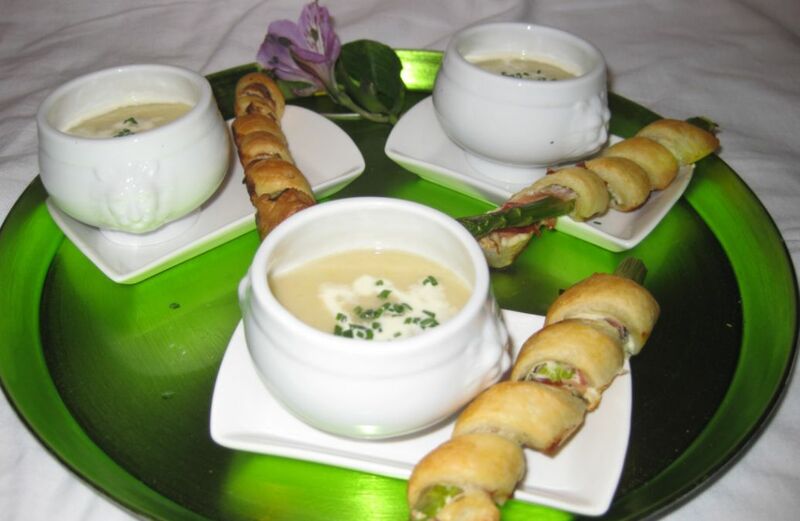 You could also served the soup as a first course. 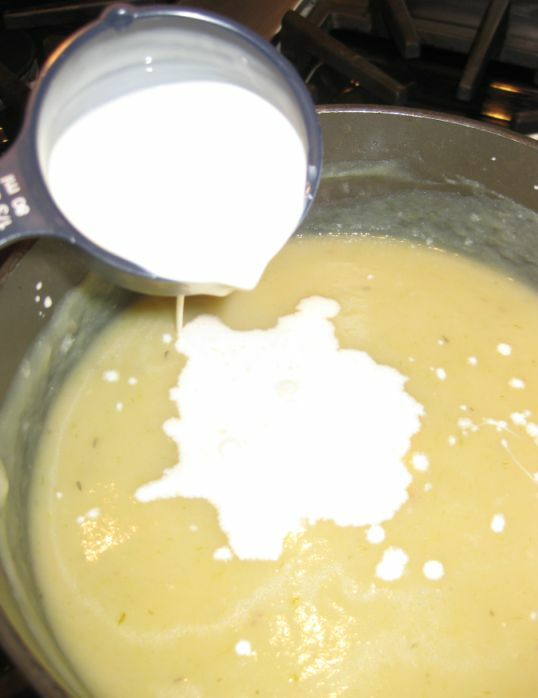 Pour the soup into a large bowl and enjoy! 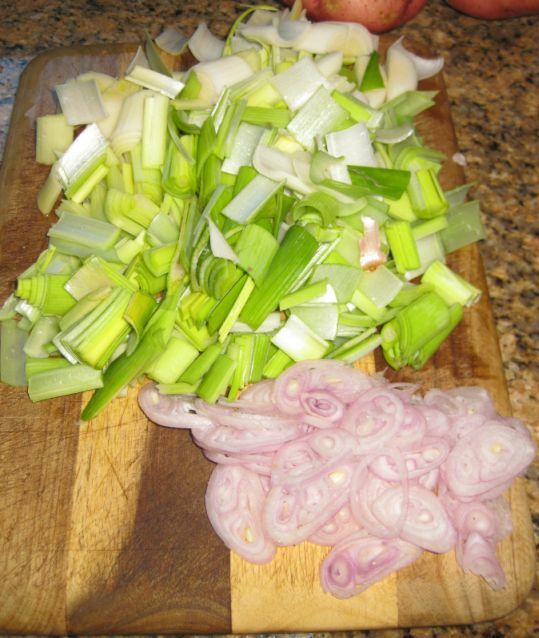 Slice the shallots and the leeks. 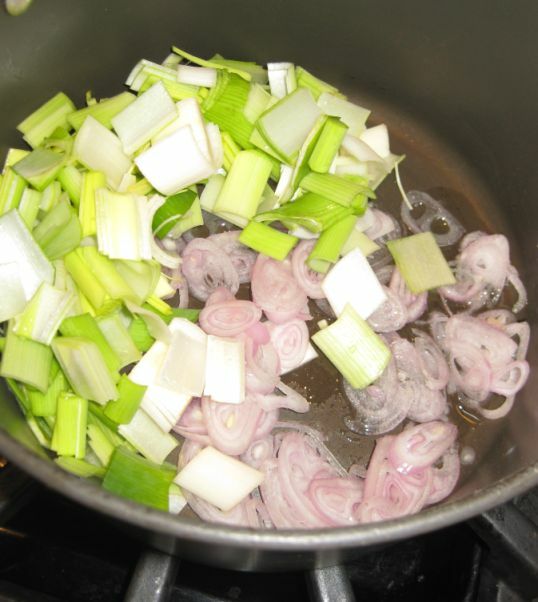 In a pot over low heat melt the butter, add the shallots and leeks until soft and translucent. Do not allow them to color. 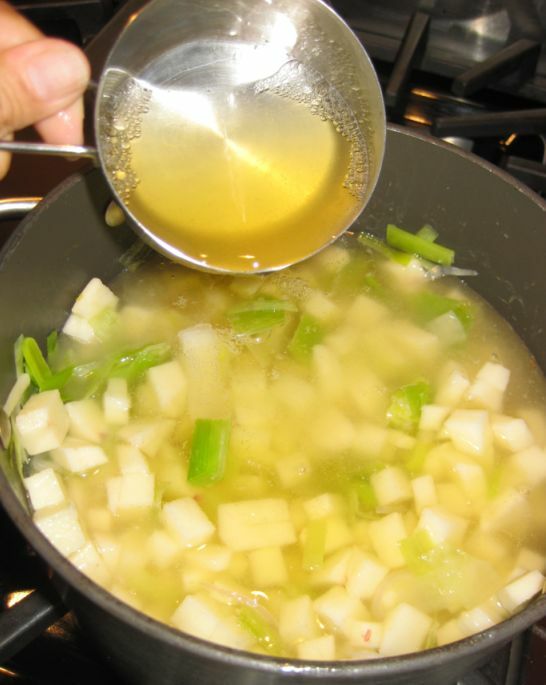 Add the chicken broth or water and bouquet garni if using. Let it simmer for about 15 minutes. 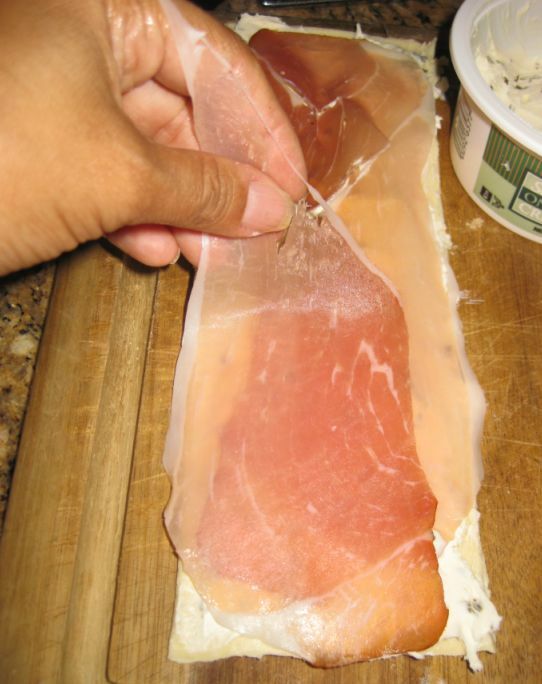 Turn off the heat and remove the bouquet garni. Puree the soup using a hand held blender. 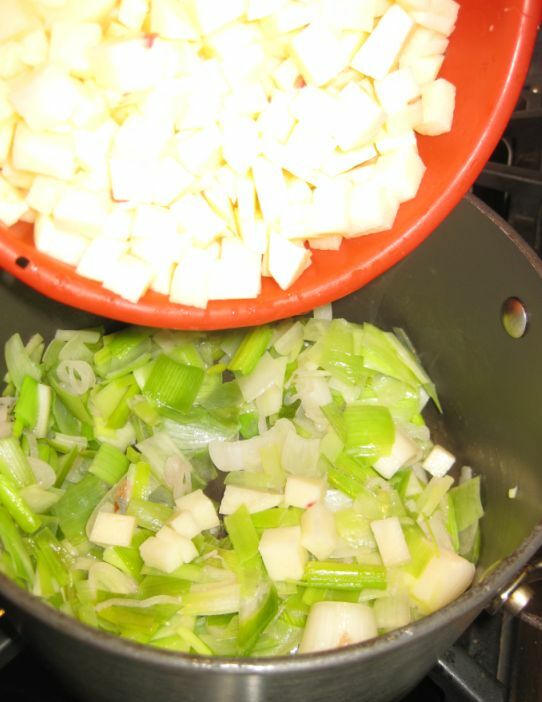 Blend until all the vegetables are smooth. Blend it again. Season with salt and pepper. 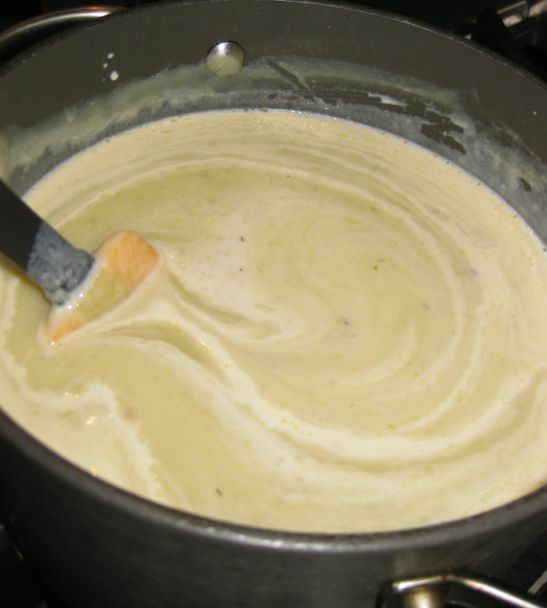 Serve it immediately or let it cool down and refrigerate the soup if you like to serve it cold. 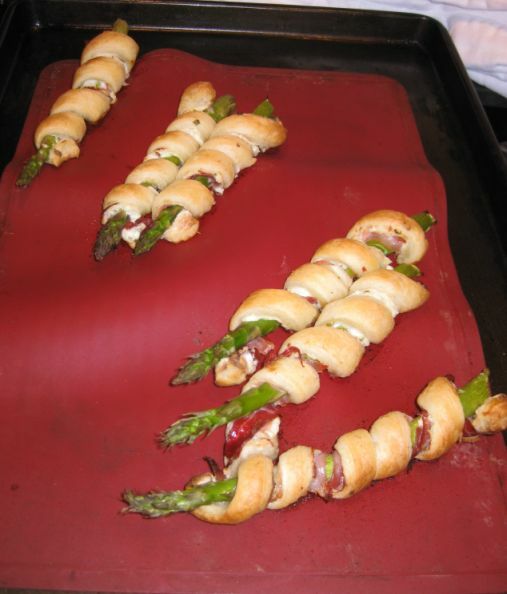 since I am only making 6 asparagus spiral I am only using 1/3 of the puff pastry sheet. 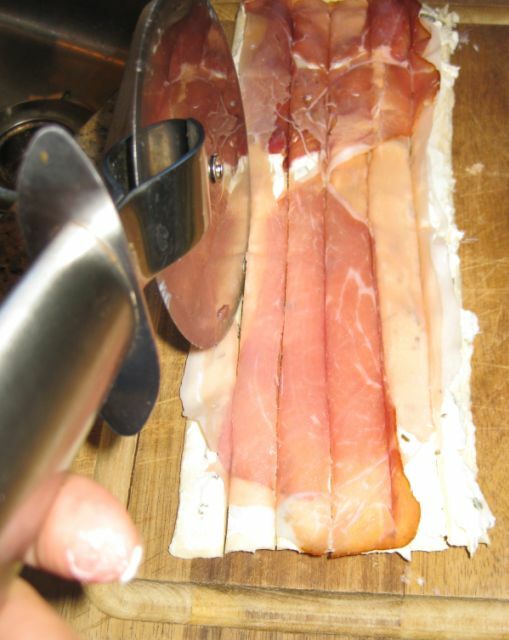 Lay a piece of prosciutto on top of the cream cheese. 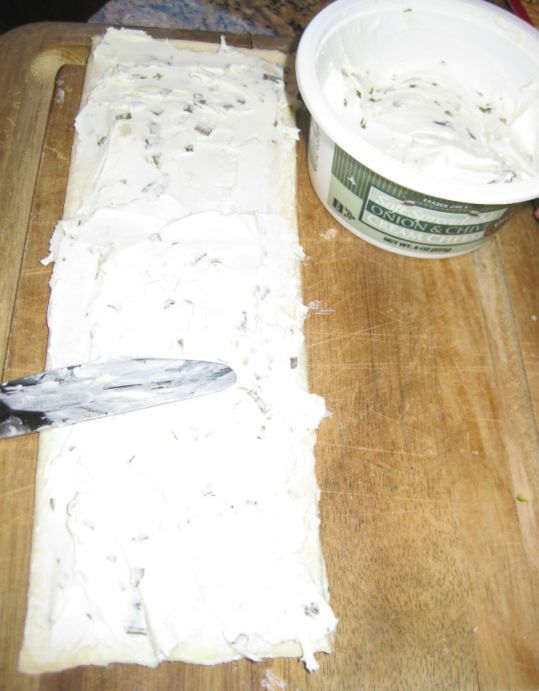 Cut the puff pastry into onto 6 strips. 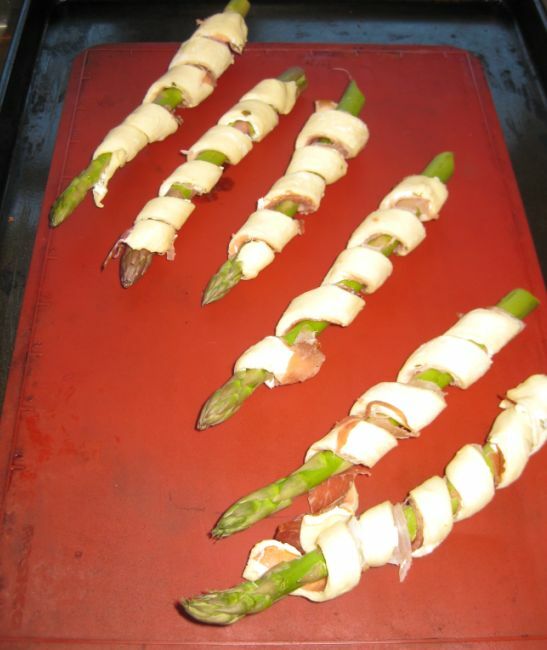 Tightly wrap around each asparagus with a strip of puff pastry.